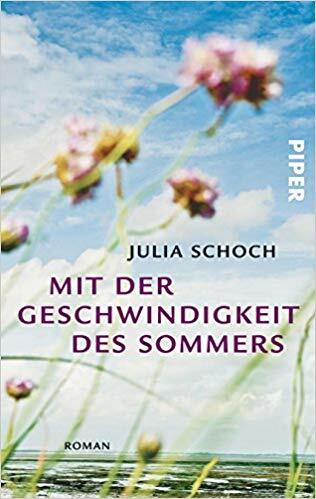 Julia Schoch’s 2009 Mit der Geschwindigkeit des Sommers [With the Speed of Summer] opens with the narrator announcing her sister’s death, which she dissects throughout the next 150 pages. This sparing, surprisingly tense novel is a lament for the former East Germany and conveys the sadness and confusion felt by former citizens trying to come to terms with the loss of a nation. It’s possible there is an element of magical realism to Schoch’s vivid depiction of the former, nameless border town which provides the narrative backdrop. 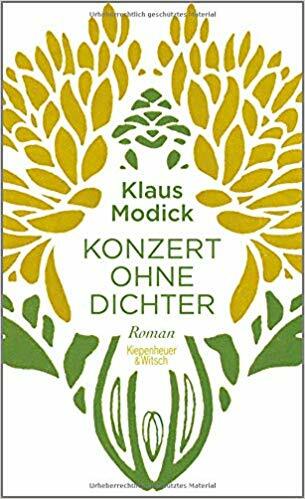 Klaus Modick’s 2015 novel Konzert ohne Dichter [Concert without the Poet] fictionalises encounters between Heinrich Vogeler, who occupied a central role in the Lower Saxony Worpswede artists’ commune of the late nineteenth century, and visiting poet, Rainer Maria Rilke. Modick charts the decline of Worpswede’s artistic community through Vogeler’s reflections on Rilke’s influence with imagination and lyricism. His novel prompted me to delve further into the history of this fascinating place, inhabited by many famous German artists and writers, in particular Fritz Mackensen, Otto Modersohn and Paula Becker. Modick conveys a strong sense of place in Devil’s Moor, an area of peat bogs and marshes in Lower Saxony, and he occasionally employs the use of the local Plattdeutsch in dialogue. The edition I read has the eponymous painting by Vogeler inserted inside the front and back cover and is a wonderful reference point for the reader, featuring as it does the important figure of Vogeler’s long-suffering wife, Martha. 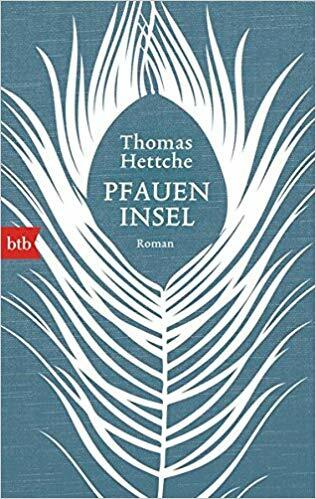 Thomas Hettche’s 2014 long, lyrical novel charts the changing fortunes over the course of the nineteenth century of Peacock Island, a small islet in the River Havel near Potsdam. The island is a plaything of Kaiser Willhelm’s, the Prussian king, with all sorts of exotic plants and animals imported to create a tropical menagerie. The island is subject to the dictates of fashion in garden design at the time. Its rise and fall are poignantly described from the perspective of Marie Strakon, a dwarf who lives out her life in the confines of the island, dwarves themselves being viewed at the time as exotic collector’s pieces. I think Marie has to be one of the most wonderful and moving central characters of any novel I have read. There was not a dry eye in the house by the end of her epic account. Interestingly, all three of these German-language books have yet to be translated into English, as far as I know. It just shows you how much high-quality foreign-language literature we must miss out on here in the UK. 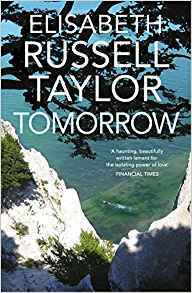 My bonus read is the almost perfectly realised 1991 novella Tomorrow, by Elisabeth Russell Taylor, recently republished by Daunt Books with an introduction. Elisabeth Danziger returns annually to the Danish island of Møn to revisit old holiday haunts. She follows a strict routine, staying in the same hotel, taking the same walks, visiting the same places; her eating habits also follow a strict regime. Some of the people staying at the hotel are familiar to her, she has some interaction with them, but not much. We know from page one that Elisabeth has died, and over the course of the story we discover the reasons why. A brief opening note about Danish support for refugee German Jews during World War Two hints at a darker background, and the reader soon realises that Elisabeth has undergone some sort of terrible trauma. However, it is not until about half-way through the book that the full extent of the horror inflicted upon her is revealed. I did not see it coming, and it has left an indelible impression on me. This achingly beautiful book bravely attempts to convey the irreparable damage done to one individual in the Holocaust. Oh, these all look so good… where to start?